Gold counts as a mineral resource which is only available in small amounts on earth. Its rare occurrence and also its particular lustre were the reason why, over the course of time gold has become the most significant money and precious metal in the history of mankind. Apart from its special significance in the manufacture of jewellery and in the financial sector, this precious metal plays an important roll as a material for industry due to its exceptional chemical and physical properties. In principle gold is a chemical element. The Latin name for gold is “aurum”. 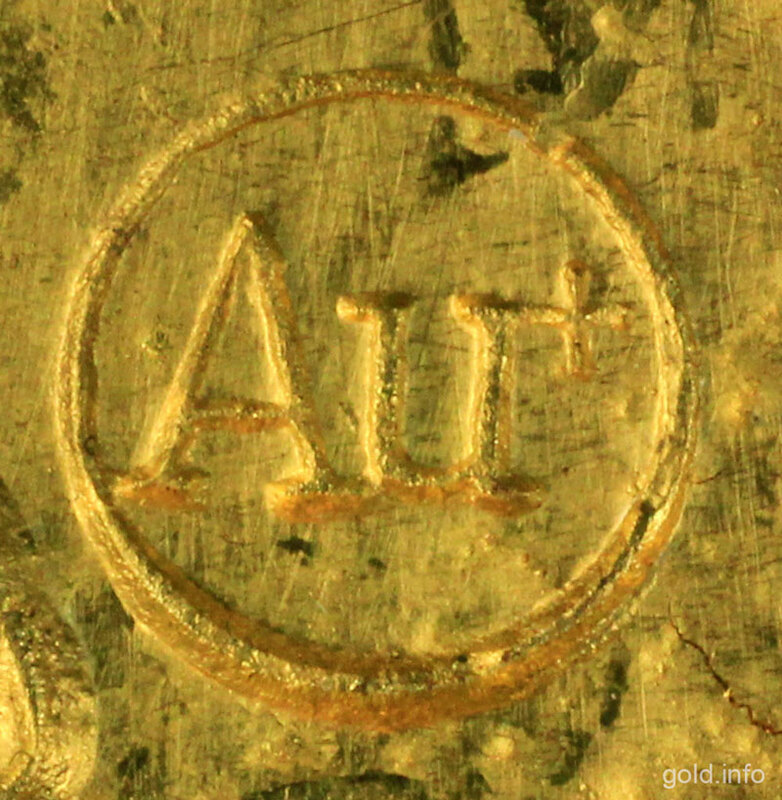 From its name the chemical symbol “Au” for gold is derived. In the periodic table gold has the atomic number 79 in group 11. As all the other chemical elements with the numbers 21 to 30, 39 to 48, 57 to 80 and 89 to 112, gold also belongs to the so-called “transition elements” also known as “transition metals”, because all the elements with these atomic numbers are firstly metals and secondly exhibit an increasing number of electrons in their electron shells. Furthermore, gold as well as for example Plutonium and Caesium belong to the so-called “pure elements”. Therefore in nature, only one isotope exists, always possessing the same number of protons and neutrons in the atomic nucleus. What makes this precious metal interesting for industrial and medical uses is its high corrosion resistance. Gold is also termed to be chemically “inert” hence, it reacts very sluggishly when reacting to other substances. For example gold exhibits no reaction to air and water and also does not itself corrode when exposed to long periods of harsh weathering conditions. The high corrosive resistance makes gold for example interesting in the manufacture of electronic control systems for high-end electrical equipment. Electronic components manufactured using gold are extremely robust against environmental influences and therefore remain conductive for very long periods. Gold is also very acid resistant. Therefore in dental medicine dental fillings are often made of gold, because gold fillings are not attacked from acids in the mouth and in food. Also food acids do not affect gold teeth. It is only possible to damage and dissolve gold using so-called “king’s water” (three parts concentrated hydrochloric acid and a part nitric acid). One of the most notable properties of gold is surely its bright yellow colouring and particular lustre. Which makes it , along with copper and caesium, one of the most extremely rare metals to boast a real colour. One remarkable physical property is also its high density and the accompanying high weight. The density amounts to an incredible 19.3 g/cm³ (at 20 degrees Celsius). In comparison plutonium is not much heavier with 19.74 g/cm³. The high density and weight of gold is the reason that it also belongs to the group of heavy metals. Although gold is a heavy metal it exhibits an extremely low degree of hardness and is therefore very malleable and in comparison to other metals really soft. Gold’s high ductility (malleability) enables it to be rolled to extremely thin layers until eventually it can have a thickness of only 0.001 mm. This property makes it ideal for example in the manufacture of gold leaf. Due to its extraordinary malleability it is for example possible to draw a thread to an incredible 105 kilometres from just one fine ounce of gold with 31.1 grams. 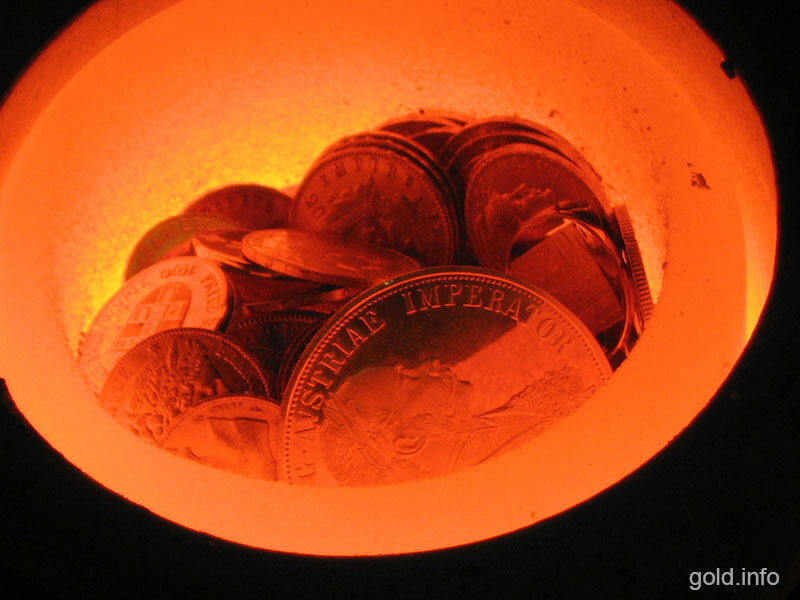 With a low melting point of only 1063 degrees Celsius (compared to 1535 degrees Celsius for iron) makes it possible to melt gold down and form it into new shapes.